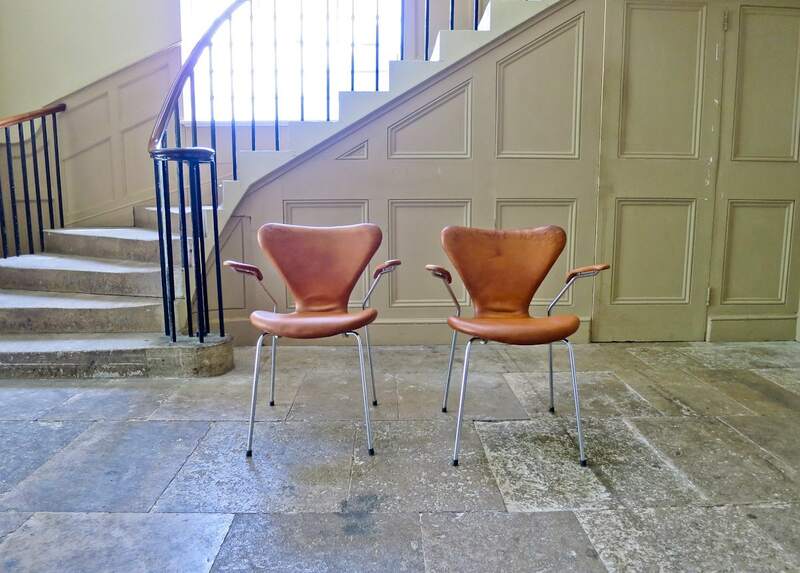 A pair of Series 7 armchairs by Arne Jacobsen for Fritz Hansen in their original cognac aniline leather. 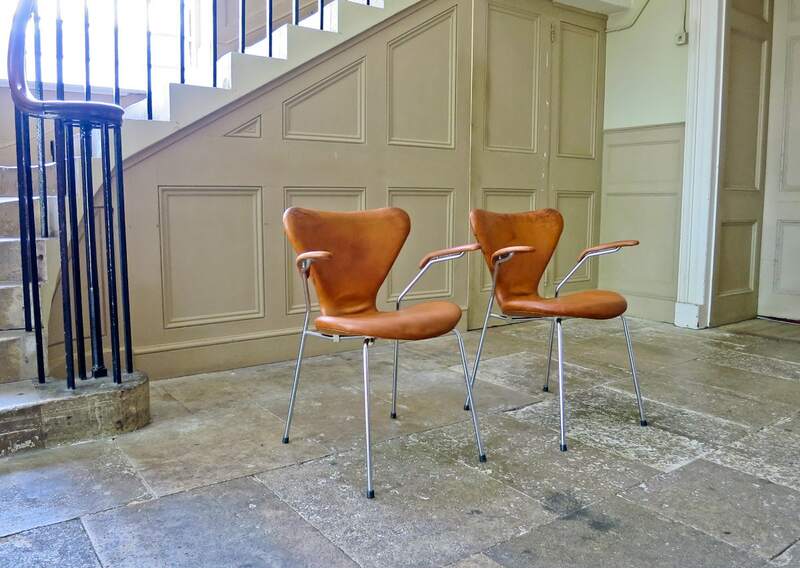 Beautiful rich amber tones to the original leather make these chairs unique and really stand out. 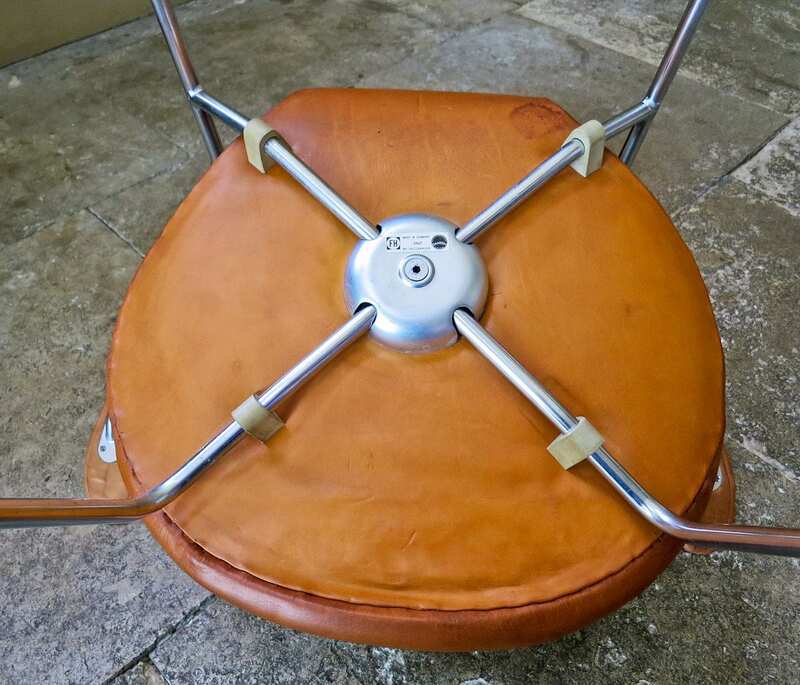 A classic design by Jacobsen from 1955, these examples date from 1967 and are both labeled accordingly. 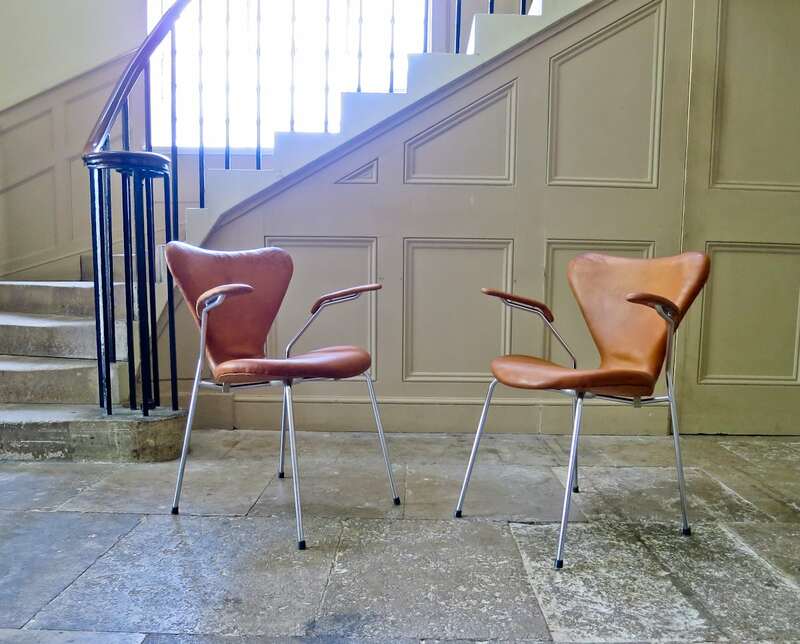 A beautiful pair of chairs simple and elegant. 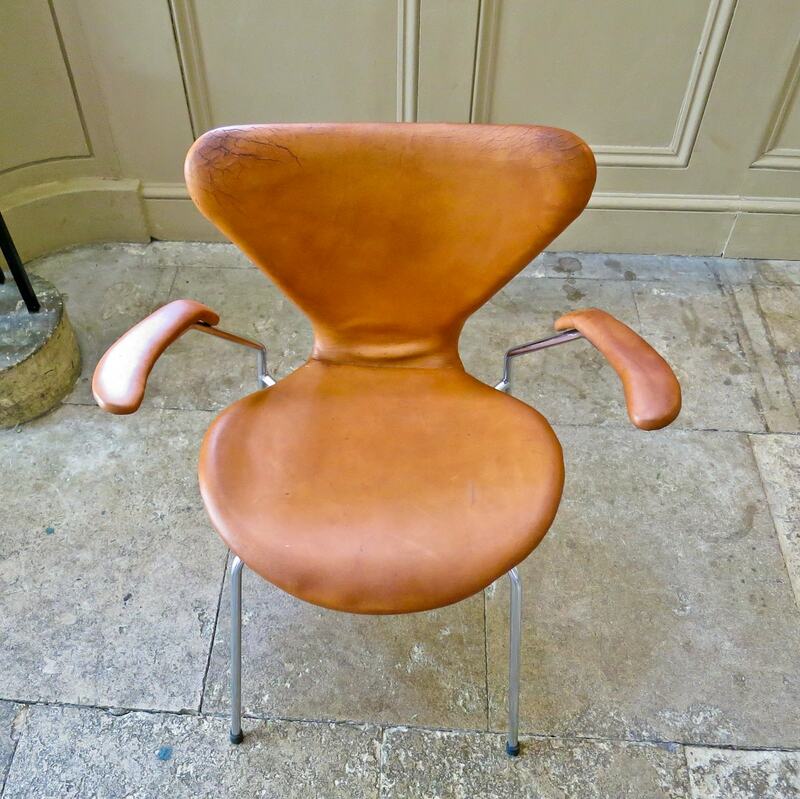 Rare to find in their original leather with unique patination and colour, all in an excellent condition. 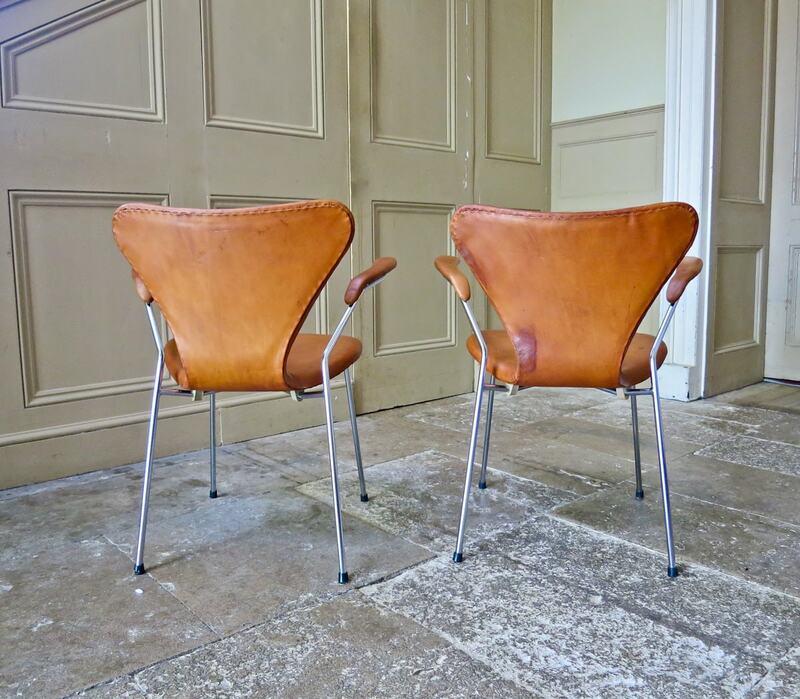 What makes these chairs stand out is the rich colour of the leather. 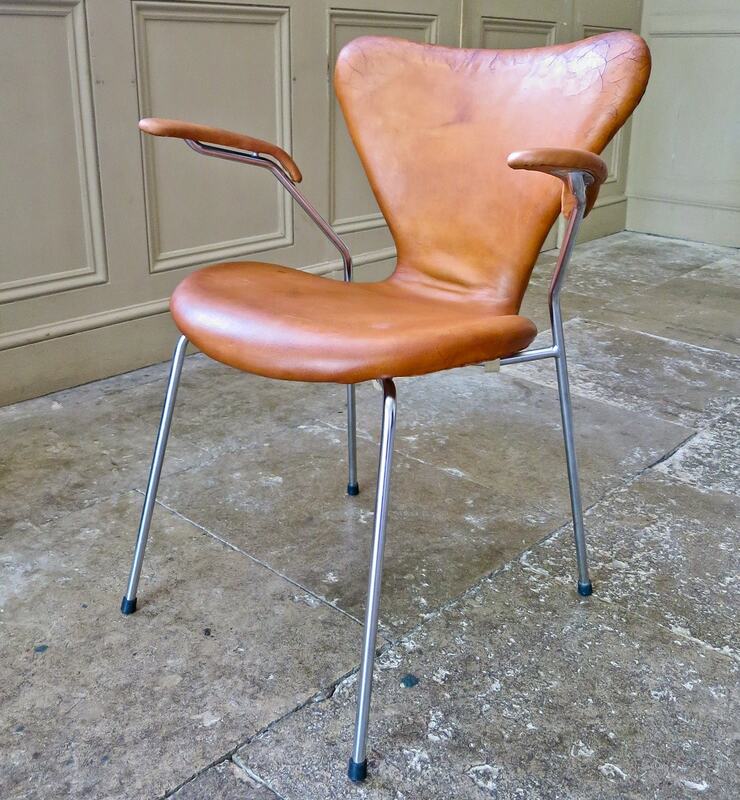 As with the Egg chair by Arne Jacobsen the original leather collects beautiful colour and patina with time. Giving them a unique character that looks fantastic in any interior.